You never forget your first love. You learn so many life lessons from heartache to inspiration. Hopefully, these lessons will make you a better, wiser person for your future loves. My first love set my life on a trajectory I never could have predicted! Basketball was my world from the age of 12 to about 20. I lived and breathed it—I spent more time playing basketball than anything else. Sometimes I would spend all day at the basketball courts near my house. Basketball was freedom and a refuge, but as I got older, my love affair with basketball was challenged many times. It would have been easy to give up and move on to something else after learning my athletic skills were very average, or after my body began to fail me with life-changing injuries. But when you really love something, giving it up can be hard to accept. When I realized that my athletic abilities alone were not enough to keep me in the game, I turned to a very different strategy—strength training. Most basketball players used strength training casually, but without much enthusiasm. With strength training, I quickly learned that if I was willing to do the work, I could reap many rewards. I was often much stronger than my competitors, which allowed me to continue playing the sport I loved. However, as I progressed with basketball, brute strength did less and less for me. I couldn’t just keep working harder—I had to get smarter. To continue competing, I learned to use my strength for specific advantages. It worked—for a while. If you’d told me I would walk on to my college’s basketball team, I would have said you were crazy! But that’s exactly what happened. I wasn’t under the illusion that I was a great player. I knew I had to work much harder than my teammates who were obviously much more gifted. It always felt like I had to use ten times the effort to do what they did. Yet, when you love something and are fulfilling a dream, you do anything to keep going—until your body gives up! After suffering a bad low back injury, "retiring" from basketball was my only option. Finally having to admit losing my first love made me think—a LOT. I wondered what I could have done differently, and if I had really tried every possibility. I always knew that my time playing basketball would eventually end, but facing that reality was especially tough. And just because my basketball days were over, I didn’t want to think my time as an athlete was over too. Since strength training had done so much for me during my basketball days, I thought it could be my new love! It was for a little while, but I always felt like something was missing. I missed the almost indescribable feeling that comes from being an athlete. While I hit personal bests and saw my strength improve, that athletic feeling was missing from the experience. Many of the lifts I performed felt stagnant. While I was still making progress, I felt as thought I was trudging through mud—compared to how I’d felt playing basketball. I missed the art of how the body performs in athletics. Things changed in 2003 when I attended the still fairly new RKC workshop. For the very first time, I experienced strength training that focused on movement and athletics. I was re-energized for the first time since my basketball playing days. This training felt similar to the connection of movement and strength in basketball. The RKC experience gave me a spark. I wanted to see where else I could take strength and movement. As I became more involved in the fitness industry, I noticed there was a division in how different groups thought about strength. One group favored lifting external loads for maximum strength—but with limited movement, and another group focused on bodyweight training to get strong, but had very difficult drills and progressions. 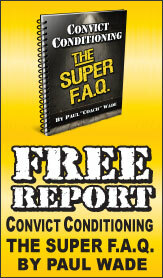 Each camp believed that their method was the "right" way to get strong. The external load camp declared that being under very heavy weight was the secret to being strong. The bodyweight community thought that making connections within body was the ultimate expression of strength. If you ask my fitness professionals today, they would probably say both ideas are correct and that we need to train both ways. I began to wonder if such a strong division was necessary. Was there a way to combine the ideas from both camps—the external load-based "strength" and the highly valued bodyweight connections? After trying many different strategies, combinations, progressions, and programming, a system began to form. I envisioned a fitness program that could seamlessly combine the best of both training worlds to create an even more powerful system. 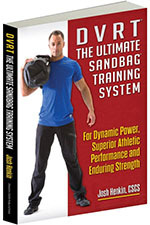 This idea eventually became the Dynamic Variable Resistance Training (DVRT™) system—a solution combining the very best offerings from the external load and dynamic bodyweight movements. DVRT™ represents something very new, a new way to think about and build strength.